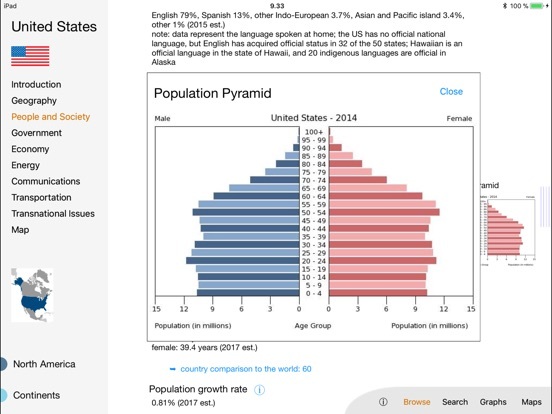 The World Factbook Visual Edition has information on the people, society, government, economy, geography, communications, transportation, military, and transnational issues for 267 world entities. 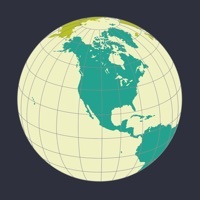 Information in this version of the app is up-to-date as of December 2018. GeekDad.com: "It’s different from other similar apps in that it really helps users visualize the data, and doesn’t just display tables of numbers. 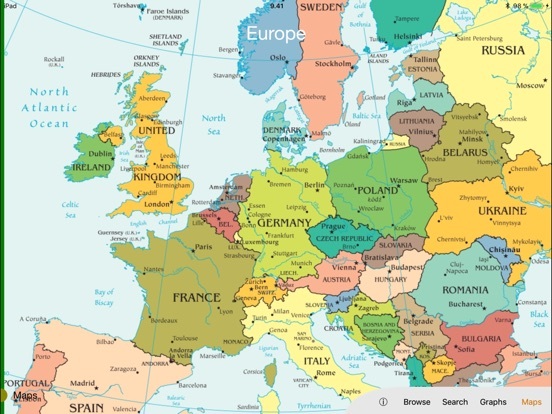 It is a wonderful way to learn about the countries of the world in a very visual way. Numbers have a harder time conveying their impact, but the maps, graphs, and colors in this app demonstrate them perfectly." 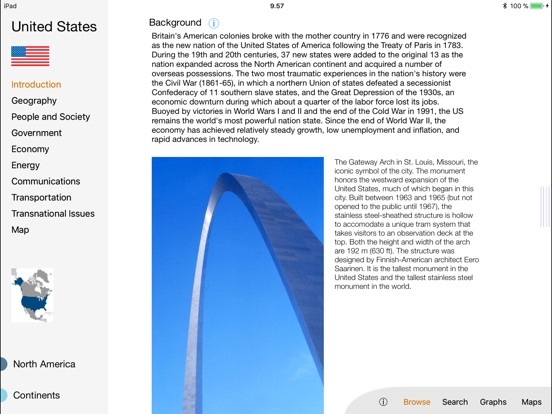 The app has browsing, search, graphs, and map sections. 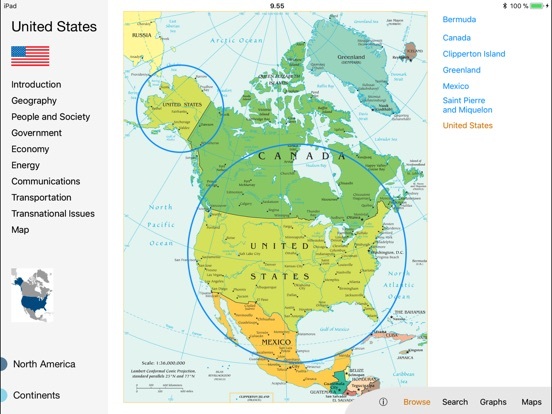 In the browse section the user can select countries by tapping maps, or by selecting from a list. 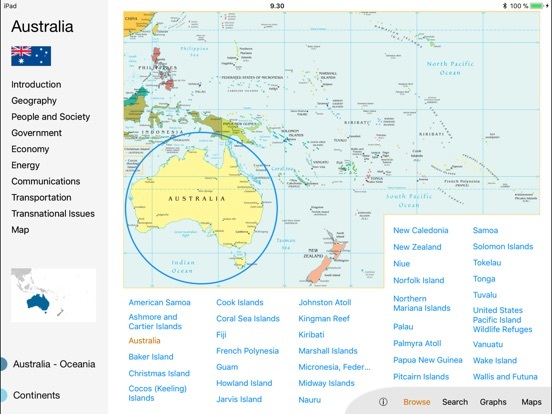 The user can also search for countries in the search section. 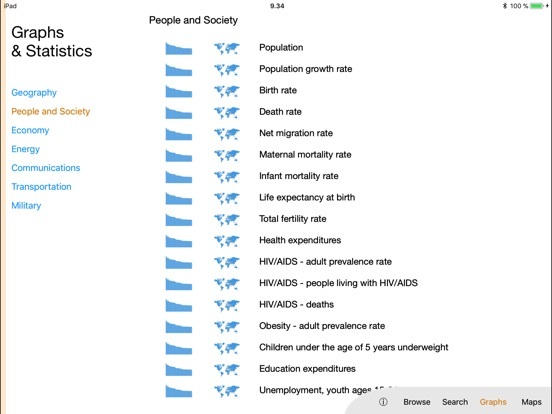 In the graphs section dozens of data comparisons are presented as visual graphs or beautiful colored world maps. 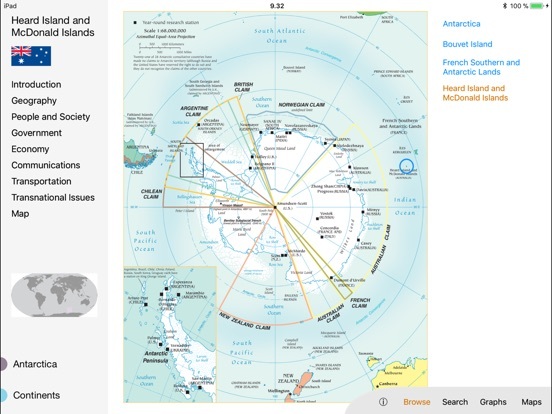 The maps sections has a collection of maps. 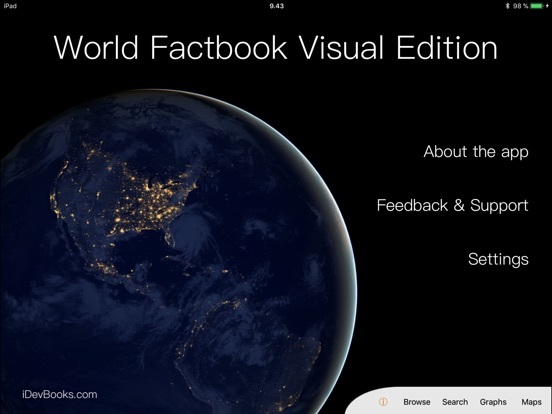 The app is based on the World Factbook data prepared by the Central Intelligence Agency. 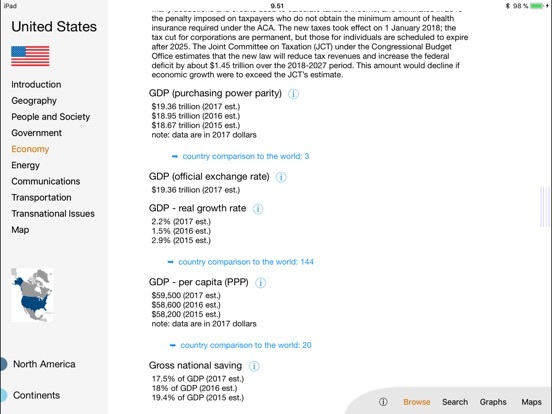 This app presents this public domain data in a more visual way that is more convenient to use on an iPad and makes it more accessible to adults and kids by presenting all data as graphs that are unique to this app. 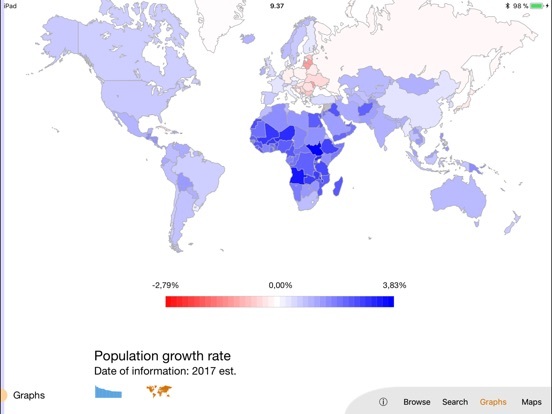 Data source: The World Factbook 2018. Washington, DC: Central Intelligence Agency, 2018. Fixes a bug in the comparison graphs.